We Filipinos are superstitious, and our culture—essentially a melting pot of local and foreign beliefs—has made us that way. We can’t deny that even in this day and age, we at times still adhere to the beliefs of our forefathers. Paglilihi, usog, and pasma are but a few examples of the countless common Filipino superstitions we still believe in. Owing to its strategic location in Asia, the Philippines has seen many settlers and visitors from other places even before the advent of written history. Naturally, these different peoples would also carry with them their peculiar beliefs and custom pertaining to phenomena that they could not explain at the time. These beliefs would then be transmitted to their descendants via oral or written tradition. Historians generally agree that aside from the original main settlers (the Negritos, the Indonesians, and the Malays), the biggest influences of Filipino superstitions would be the Indians, the Chinese, the Spanish, and the Arabs to a lesser extent. This inter-mixing of different beliefs is the reason why we have so many superstitions in the country even today. This article presents some Pinoy superstitions you may or may have not heard of. We don’t have to believe them of course (most do not even make sense really), but knowing them at the very least can give us an idea of just how rich and diverse our culture really is. 1. If you want bedbugs to leave your house, place some on a piece of paper and leave them in someone else’s house. The other bedbugs will transfer there. 2. 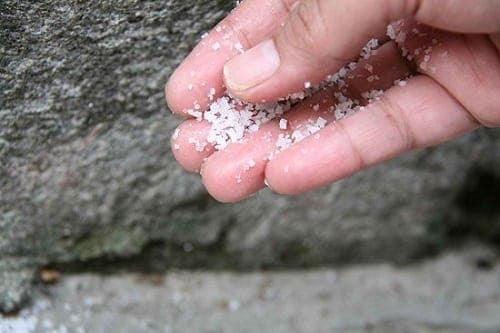 If you want to get rid of unwanted visitors, secretly sprinkle salt around your home and they will soon leave. 3. Guests should not open the door while the family is eating because that family’s good fortune will fly out the door. 4. All windows inside a house should be opened on New Year’s Day to let good fortune come in. 5. It is good luck to the family if there are bees found inside the house. 6. When doves and pigeons leave a house, it means the occupants are always quarrelling. 7. If you have to leave on a trip before finishing your meal, turn the plates on the table so that your trip will be safe. 8. Do not place money on the table while eating. 10. Leaving some rice in the cooking pot will ensure that you will always have food inside the house. 11. If a fishbone gets stuck in your throat, don’t tell anyone. Instead, spin your plate three times to make it disappear. 12. Serving plates to your guests ensures that blessings and good graces will be left on those plates. 13. To get good news from a distant relative or stranger visiting your house, serve him/her water first. 14. Always eat food from the center of the plate when dining in the home of strangers. 15. When three people pose for a picture, the one in the middle will be the first to die. 16. A person with two cowlicks in his hair is said to be mischievous. 17. The sound of a single rumble of thunder heralds the death of a prominent person. 18. Gamblers will lose when they see the number seven. 19. Breaking a glass on Friday will bring the person bad luck for seven years. 20. 3, 5, and 9 are unlucky numbers. 21. If the number of letters in the husband and wife’s name adds up to 30 or more, then that means good luck. 22. A person who dreams of numbers will win the lottery. 23. Red-colored cars are predisposed to accidents. 24. A person whose gums are black is a jealous type. 25. You can tell a person’s personality by knowing his/her color preference: jealous people prefer yellow, the energetic prefer red, the peaceful prefer white, the optimistic prefer green, and the lonely prefer blue. 26. When you dream about a friend wearing white, it means he/she is getting married. 27. 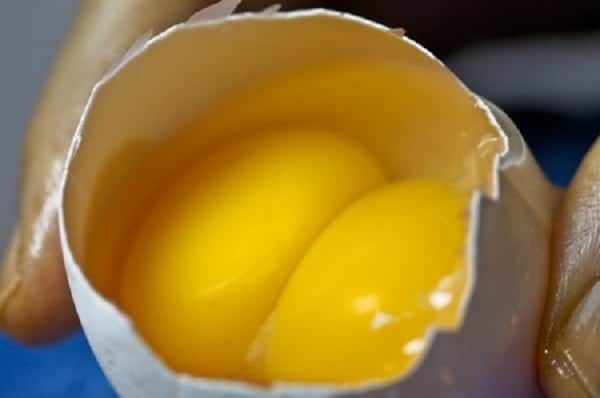 When a person breaks an egg and sees two egg yolks, he/she will become wealthy. 28. Seeing a white butterfly will mean riches are in store for the person. 29. Putting your purse or handbag on the floor will not make you prosperous. 30. One who pays his debts at night will become poor. 31. After you see a shooting star, wrap some money in a corner of your handkerchief and play a game of chance. You will win. 32. When you wear clothes and discover that they are inside-out, it means you will receive money shortly. 33. Always keep coins or bills inside your bag or suitcase. If you don’t spend it, you will have lots of money for that year. 34. Put a coin you find on the road inside your purse or pocket and never use it. You will never be short of money. 35. Give a generous discount to your first customer of the day so your sales will increase for that day. References: Filipino Tapestry: Tagalog Language Through Culture by Rhodalyne Gallo-Crail and Michael Hawkins; Orientalists, Propagandists, and Ilustrados: Filipino Scholarship and the End of Spanish Colonialism by Megan C. Thomas; Philippine History by Christine N. Halili; Study Skills in English for a Changing World by Magelende Flores, et al.